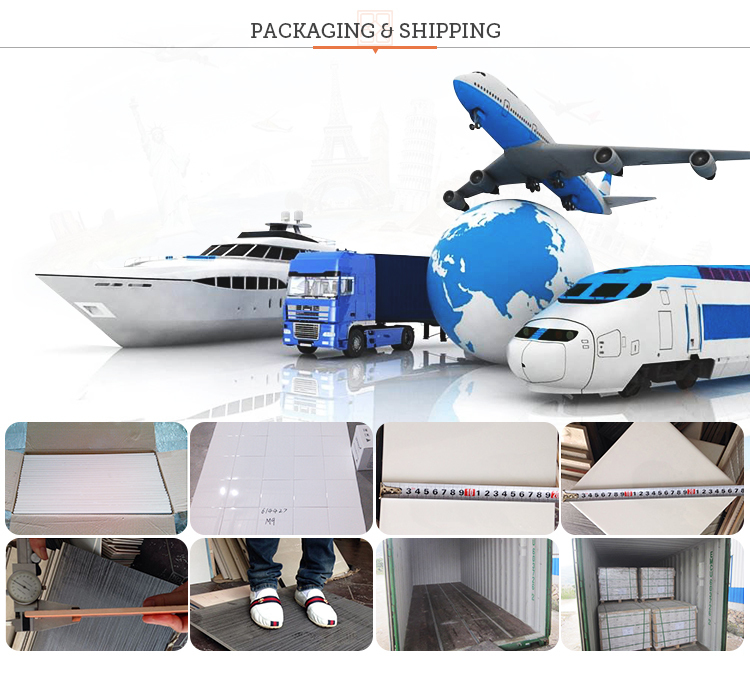 800x800mm:3pcs/ctn,44kgs/ctn,Standard cartons and wooden pallet. 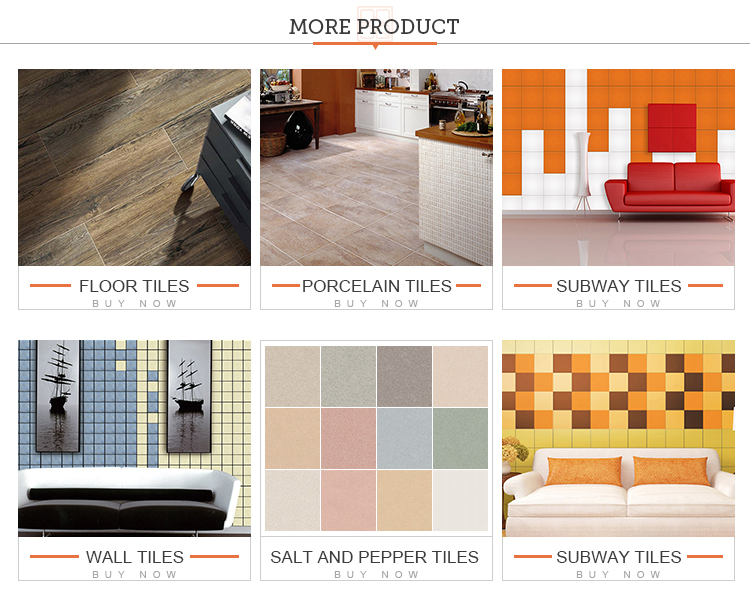 Usage Interior & exterior floors & walls like personal house; government buildings, shopping malls, schools etc. 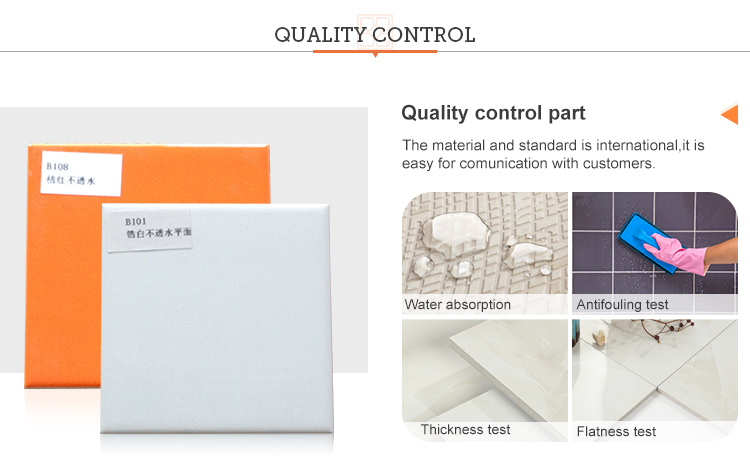 Function acid-resistant, antibacterial, non-slip, wear-resistant. 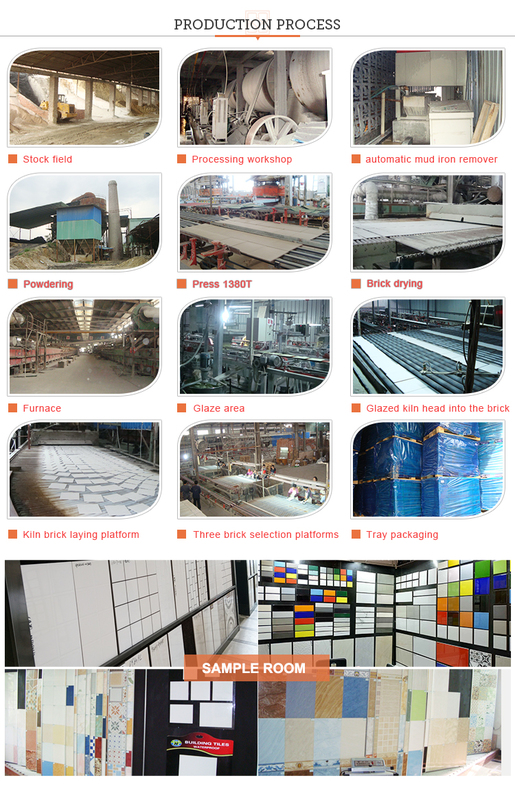 Remark For more information of our products please kindly visit our website or contact us by email. 2. High quality products for European, USA standard or the ones who longing for a natural elegant life desire. 3. 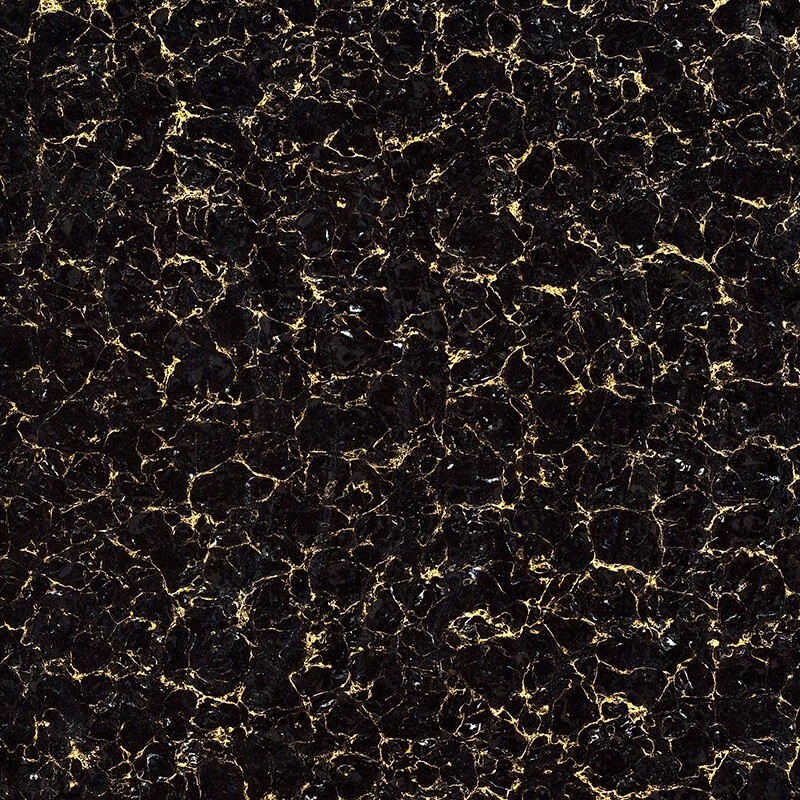 Rustic Style anti slip for floor usage;Metallic tile for glocious design request for floor or wall; 3D-Ink Jet printing design for marvelous color and design favorite choice usage. 4. 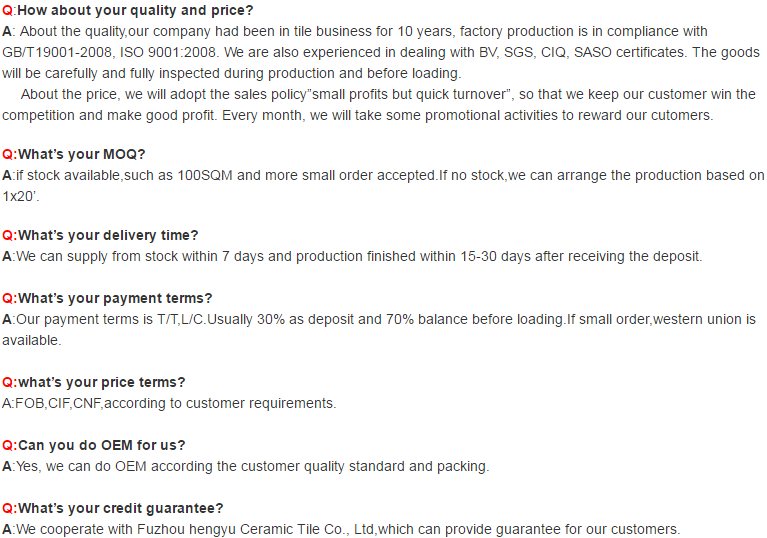 Different types of the above quality,different product specification. More information will be supplied by further discussion. 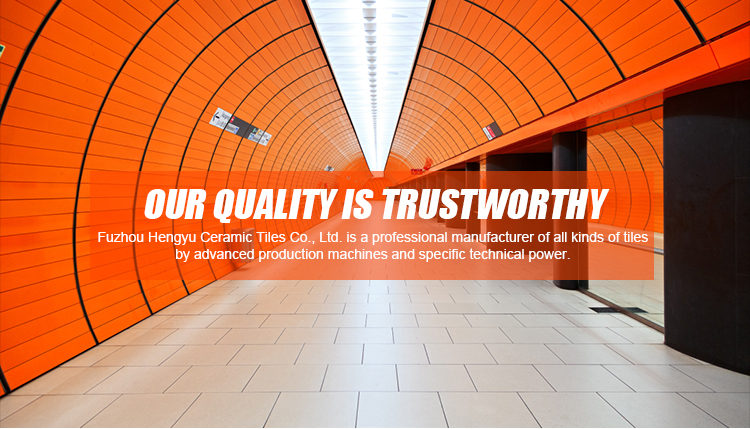 Fuzhou Hengyu Ceramic Tile Co., Ltd.